Two stories from over the weekend broke my heart as a father. On Sunday night Miley Cyrus “performed” at the MTV VMA’s (imho that’s too many letters, lol). Facebook was all abuzz during the show, making me wonder why so many of my Christian friends were watching the Music Video Awards to start with, but I’ll move on. When Miley Cyrus danced on stage she was about as close to naked as a person can be, and the performance was extremely sexual. I couldn’t help but wonder how her father feels about his young daughter’s transformation. Miley is the daughter of Billy Ray Cyrus, who jumped into the country music spotlight with his 1992 hit Achy Breaky Heart. His time at the top was relatively short, but he reemerged alongside his daughter on their Disney Channel sitcom Hannah Montana. 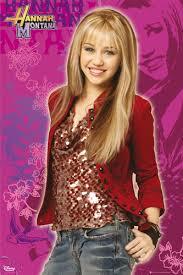 The show launched Miley’s career, and it re-launched Billy Ray’s. I’ve never spoken to either Cyrus, but it seems to me that the elder pushing the younger towards success is a lesson in how not to raise a child. The “career first” mentality appears to be both seductive and destructive. The other heart-breaking event came on Saturday when I was watching the Apopka Blue Darters play the Byrnes Rebels in high school football. I grew up 10 minutes from Apopka High (home of Hall of Famer Warren Sapp) so I was excited to see them so close again. 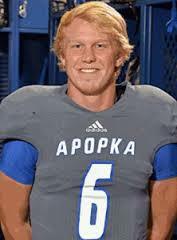 Apopka’s head coach is Rick Darlington, and Rick’s son Zach is the senior quarterback. With under 4 minutes to go in the game and the visiting Blue Darters trailing the Rebels by 8, Zack rolled out of the pocket and was heading for the sideline when a defender tackled him. The hit was clean and legal, but it resulted in a concussion for the QB. Everyone in the stands held their breath as Darlington lay there motionless. He never moved or even opened his eyes while medical personnel loaded him on the stretcher. After fifteen minutes or so he was taken to an adjacent field; while he was being carted away the game resumed, and Coach Rick Darlington remained on the sidelines calling the game. Within seconds cameras showed a chopper descending onto the field, and Zach was loaded up and airlifted to Spartanburg Regional Medical Center. Rick Darlington stayed on the sidelines while his son’s health was uncertain. I was furious. I felt like I cared more about this kid than his own father. But then the worst part was the announcer’s comment about how hard it must be for a father who “has to” keep coaching. Has to? With his son on a helicopter? There are a dozen assistant coaches on the sideline, and none of them can coach the last 3 minutes? That comment showed the perception of Americans. A dad has to keep coaching when his son may never walk again. The message from coach to quarterback was clear: Rick’s career was more important. I could be wrong about this, but every father I’ve talked to agrees that there is nothing that would have kept us off of that helicopter (Zach was released from the hospital on Monday and is doing fine). I’m not calling either of these men bad fathers; I don’t know them, and that would not be fair. Neither am I calling myself the model of fatherhood, because I certainly make mistakes. But these very public instances over the weekend hurt my heart as I saw a generation of children being failed by their parents. More specifically, by their fathers. Our children can certainly become rich, famous stars, singers, and sports players. But as parents we have to model for them what is most important. Faith and family come before fame. I’d bet that we could know if someone asked him. I’d also bet that this information is available if the author did some looking. It’s hard to believe that he would never be asked about how he chose to attend the university that he did. Beyond that, the writing style was very hard to follow. Awkwardly writing in the present tense when covering past events, Kluck jumped from one topic to another quickly and abruptly. His constant subject changes made me scratch my head and re-read pages trying to figure out what he was talking about. The author also mentioned Janoris Jenkins as having played for Miami. He actually played for the Gators (unfortunately) before he was expelled and finished his career at North Alabama playing for Terry Bowden. This was still an interesting read, but if you are looking for a biography about the life of Robert Griffin III you might want to try something else. This book covered his rookie season in detail, but the rest of the book was the author’s opinions about dozens of other players. *The word was hell used as a curse, and was a quote from a doctor. I received this book free from Booksneeze in exchange for my honest review. Inspire Women is a leading women’s ministry and one of the largest ministries in Texas, where they independently put on conferences, fund scholarships and provide training to women of all backgrounds. Founded by Anita Carman, the non-profit’s inception was, in part, birthed out of Anita’s challenging upbringing. She came to the United States as a 17-year old, following a childhood filled with emotional trauma and incredible challenges, but ready for a fresh start. As an adult Anita began her journey in the corporate world, where she developed as a leader by pursuing both a Master of Business Administration from the State University of New York and a graduate degree in biblical studies from Dallas Theological Seminary. 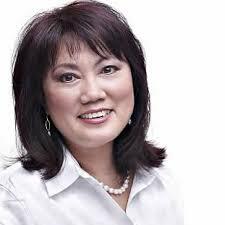 She worked for top companies such as Booz, Allen, Hamilton and Exxon. Since its independent establishment in 2003, Inspire Women has invested over $1 million in the ministry dreams of Houston women. An estimated 24,000 women have attended an Inspire Women event, and the organization continually reaches more than 150,000 a year. How has your personal story fueled what you do? Ever since I lost my mother to suicide when I was 17, I was always searching to fill an emptiness in my heart. I was also uprooted from my country when I came to America and frantically searched for a place of belonging. The dream of coming to America began in my mother's heart so when she was no longer here I wasn't sure how the story was supposed to end. That led me to develop a passion for helping others find their purpose because I have experienced the pain of not knowing where you belong or what you're supposed to be doing with your life. I find it hard to juggle so many things at the same time. When I write I disappear into that place in my head where I shut out the world. But while there I'm concerned over the ministry and what's needed for everyone on staff to run. So I go between being an "artist" if you will and a CEO. I definitely could not fulfill my role had God not hand picked the staff I have around me. They are phenomenal. What makes Inspire Women different from other ministries? We are a ministry that reaches women across ethnicities and economic levels. Most ministries are one ethnicity or have women of similar economic levels. The women we reach range from ministry leaders to top women CEOs and philanthropists. We are all inclusive in that there are ministries that produce conferences but they don't invest back in the women in the conference. They don't give scholarships and grants. We also have small groups after the conference so I would say our uniqueness is in our followup programs to empower potential and to keep women going in their service. You recently celebrated the ten-year anniversary of an independent Inspire Women. What do the next ten years look like? We are putting processes in place so that what we have in Houston can be replicated or can easily be passed down to the next generation to operate. So while our VP of Houston builds sustaining programs, I focus on developing the message that brands Inspire Women globally and continue building the financial infrastructure to support the ministry not only in Houston but beyond. What kind of changes do you see in the women who find their God-given calling? I see them exhibiting the peace of knowing why they were created. Also at Inspire Women I see them finding joy in being part of a community of women who desire to know their purpose and to make a difference in the world. How can people get involved with Inspire Women? They can re-teach the materials we share at our monthly spiritual oasis. They can sign up for a leadership certificate and learn how to respond to life the way the daughter of a King would. We're looking into possibly letting women lead small groups over the internet where they can share our signature curriculum on how to respond as a King's daughter. They can fund scholarships and grants. They can use our events and serve as an ambassador to invite friends to our events. You can learn more about Anita Carman and Inspire Women on their website. 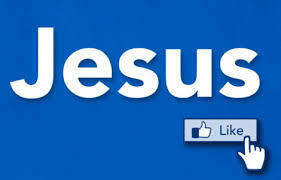 Some believers in Jesus shy away from the media, saying that it is secular and Christ’s followers need not dabble in it. While I certainly agree that Christians should be very careful as to what they watch, read, and listen to, I have never been opposed to the use and participation in media. That figure was published in 1988, and I would guess that the “nearly five hours” has only increased. What those numbers mean is the media is raising our children. They tell us what to think, what is normal, what is intolerant, etc. We spend less time in church in a week than we do with the media in a day. It is no wonder that people nod their heads in church on Sunday and then live a totally different life the rest of the week. The number 1 influencer is giving a different message. So as Christians lets not run away from the media and blame it for all of our problems. Lets recognize its potential and embrace its usefulness. Lets utilize the media for the cause of Christ and offer a voice of truth among all the chaos. Write a blog or a book, send a tweet or update your status, and do it all to the glory of God (but please don’t be in your face on Facebook—that’s a turnoff). Find Christian shows and DVDs, and pass them on to your friends. Look for websites that defend the gospel against evolution, and post a link. People will read and watch it because they love the media. Your friends could be 1 click away from salvation. Will you help them get there?